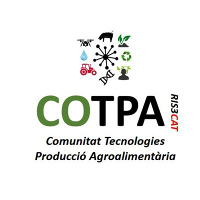 Community of Food Production Technologies is a Community RIS3CAT led by University of Lleida in collaboration with other catalan universities , AGRO companies , and the Cluster FEMAC, to develop intelligent and innovative strategies in their farming sector in Catalonia. ¿ WHAT IS A COMMUNITY RIS3CAT ? The RIS3CAT is the research and innovation strategy for smart specialization of Catalonia approved by the Government on February 4, 2014. The RIS3CAT part of Catalonia 2020 (with ECAT 2020), as a roadmap of the Government to revive the economy and reorient the productive sector towards a smarter, more sustainable and more inclusive economic model. Food industry and other links in the value chain as the primary sectors, large retailers, industries packaging and packaging machinery for food, additives and raw materials, food and restoration. Industries of health and life sciences: fine chemicals, pharmaceutical preparations, universities, science / technology parks, research centers, industry, medical technology, hospital and clinics, insurance and related services. The RIS3CAT Communities are voluntary groups of companies and agents in the R + D and innovation that drive R & D plans and Innovation of economic transformation in the sectoral fields leaders. 2. 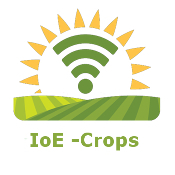 Effective Incorporation of advanced technologies in food production processes.